With a face like that, how could they drop the ball? 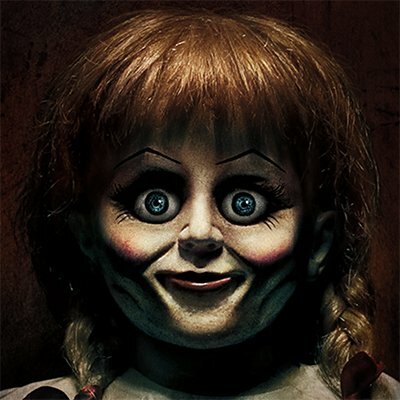 After the success of The Conjuring, the team jumped straight into developing one of the most promising co-stars of the original film - Annabelle, the diabolically evil-looking doll. Unfortunately, it is not very good. It's just... not good. The main reason is probably because it deviates from the formula James Wan laid down in The Conjuring. There is no tracking shot through the living space, no nifty camera work, no ghost detectives who can swoop in during the third act to give the film legs. It's very flat. It's forgettable. It's the worst entry in the franchise thus far. But don't worry, the team returned to what worked with last year's fiendishly good prequel-sequel and Annabelle ended up getting the film she deserved. If it ain't broke, don't fix it.